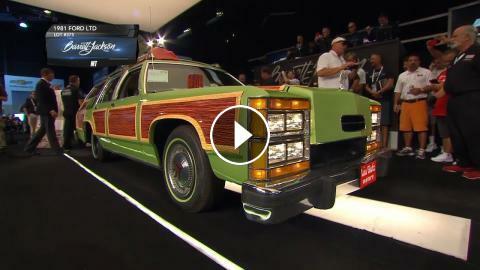 ﻿ The Family Truckster at Barrett-Jackson! From Walley World to Palm Beach, Florida. Watch the family Truckster (and Aunt Edna) cross the Barrett-Jackson block! Stream FREE live coverage with the MotorTrend App. 2019 Ford GT Heritage Edition (Vin 001) sells for $2.5 MILLION at Barrett-Jackson Scottsdale! Best Friends Brian and Jackson Are Back!